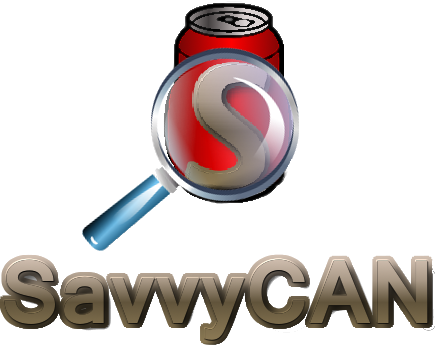 SavvyCAN is a cross platform QT based C++ program. It is a CAN bus reverse engineering and capture tool. It was originally written to utilize EVTV hardware such as the EVTVDue and CANDue hardware. It has since expanded to be able to use any socketCAN compatible device as well as the Macchina M2 and Teensy 3.x boards. It can capture and send to multiple buses and CAN capture devices at once. - Load and Save DBC files. DBC files are used to store definitions for how data are formatted on the bus. You can turn the raw data into things like a RPM, odometer readings, and more. - Best of all, it's free and open source. Don't like something about it? Change it! The GVRET/M2RET/ESP32RET firmware updaters have scripts for use with Windows and OSX. It can be used to automatically update the firmware to the newest version without having to compile anything. A half hour video that walks through SavvyCAN and how to use it. The video is a little dated now (several SavvyCAN versions old) but still a good resource for getting into SavvyCAN. The source code can be accessed on GITHub. All screens have built-in documentation now! Press F1 when a screen has focus to get help for that screen. The font size used in the program can now be changed. This is helpful for hiDPI monitors. 4K is painful otherwise. GVRET support over TCP/IP. Only supported on ESP32 at the moment. Removed irrelevant menu items - some were half done, some not meant for general usage. They're gone now. Graphing Screen now has a coordinate readout that gives you the coordinates of the nearest point on the nearest graph to where you clicked. Double clicking puts a circle at that point. Graphs can now be OpenGL accelerated for added prettiness and perhaps a speed boost. This is a preference. Continuous logging mode - ability to log to file in realtime so data is constantly written to disk. Connection window rewritten to be much more intuitive. Removed dependency on QScintilla - Much easier to compile yourself now! Added ability to format the system timestamp to your preference. Changed PCAN extension to be the proper one. New data graphing system built more closely with DBC signals. Added saving of last used connection method. It is now possible to click "Connect" immediately upon starting the program if settings haven't changed.